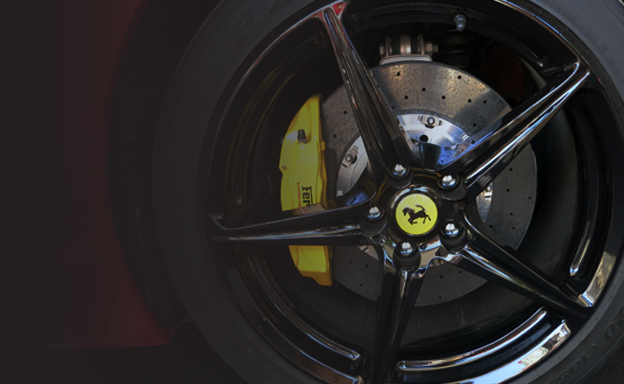 All alloy wheels when first produced are painted using a process called powder coating. This process uses a paint that starts as a powder and is then cooked onto the wheel using a 200 degree oven. Once finished a very hard surface similar to a ceramic is fused to the metal of the alloy wheel. Most wheels can be refurbished using our mobile alloy wheel repair service but if the damage is too great or the wheels are corroded powder coating is the best way to go. There are also some special finishes that can only be replicated using the powder coating process such as ‘shadow chrome’ and ‘hyper silver’. These colours/finishes are achieved by dusting a very fine ‘super’ silver in thin layers over a gloss black, grey or white base surface. The result is an extremely deep shine that to some customers is very desirable. If you require powder coated alloy wheel repairs we will need your wheels for 5-7 days.